Nia Haf Photography | Namaste from Nepal! 1. The Journey. Tearily leaving Scott at London Heathrow on Monday morning I prepared for the full 24 hours of travel ahead of me. 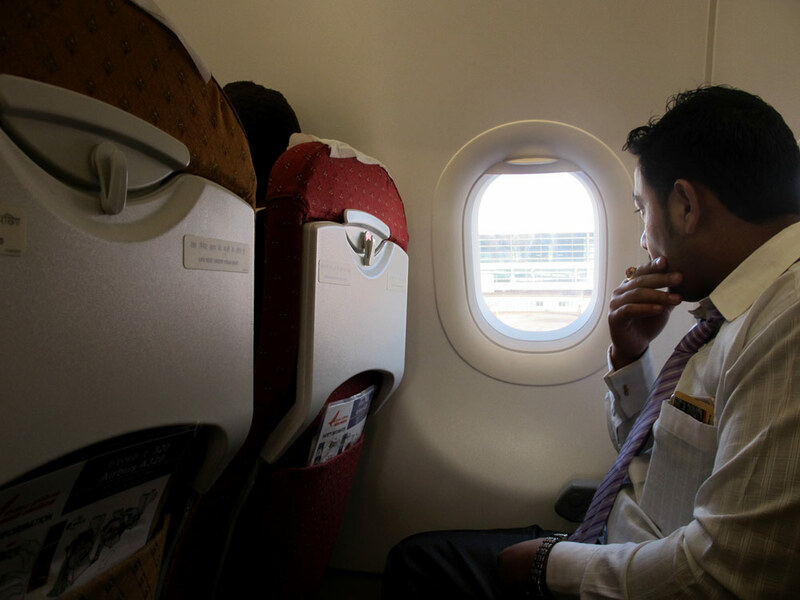 A mixture of apprehension and excitement made it difficult to get much sleep on the first 8 hour flight from London to Delhi… the small child continuously kicking my chair from behind may have also played a small part! Arriving in Delhi, having lost almost 6 hours somewhere in the atmosphere, I was fortunate enough to be in the company of Jason, a Britt now living with his wife in Kathmandu. 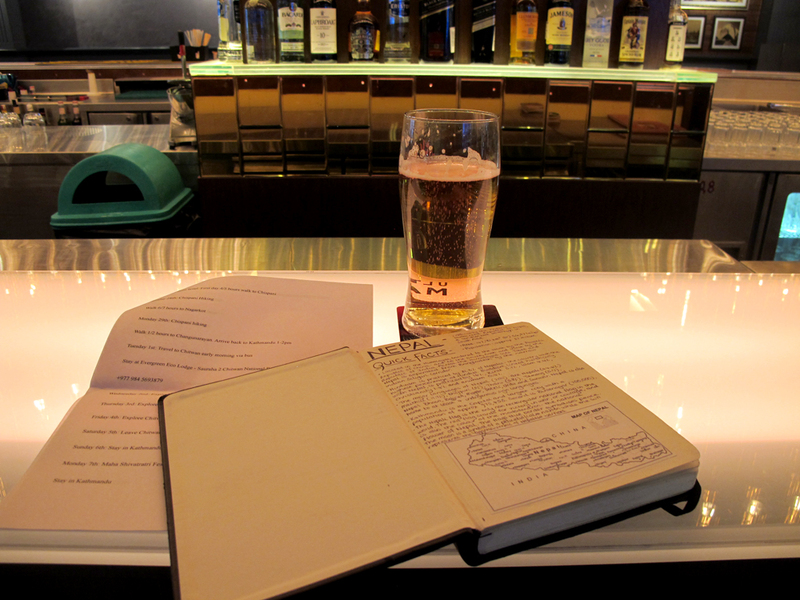 I asked a million questions about the city over a couple of beers in the airport bar and began to feel more at ease as time went on. Arriving in Kathmandu at 9.30am on Tuesday I realised that I did not have enough cash to purchase my visa, so Jason came to the rescue. Then outside of the airport the only cash machine in sight decided that it did not like my card, so Jason came to the rescue! Without the generosity of a stranger in unknown territory I may have still been in the airport now, crying in a dark corner somewhere. I hope one day I can do the same for a young, nervous traveller somewhere new. 2. Sightseeing. Over the past couple of days I have visited some famous sites in the city including Bouddhanath, Swayambhunath and Durbar Square. Heartbreakingly, it is at these infamous locations that the damage from the April 2015 Earthquake has been most evident to me. At the latter in particular, temples have literally been brought to the ground, their crowning features only visible on the information plaques that now stand higher than the holy space they describe. To hear my Neplai tour guide follow each explanation of a location with the death toll was sobering. 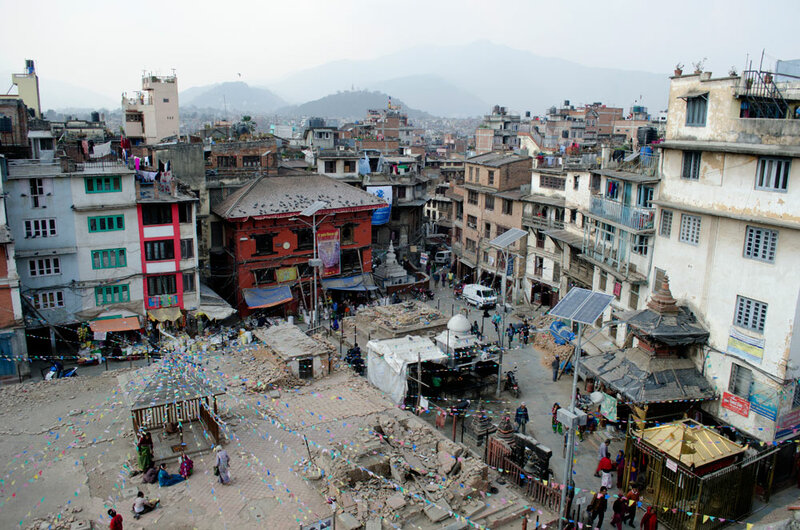 Despite the evident damage, many people have said that the city was one of the least affected areas and that it is rurally, in Kathmandu’s surrounding villages that the people have been affected most. 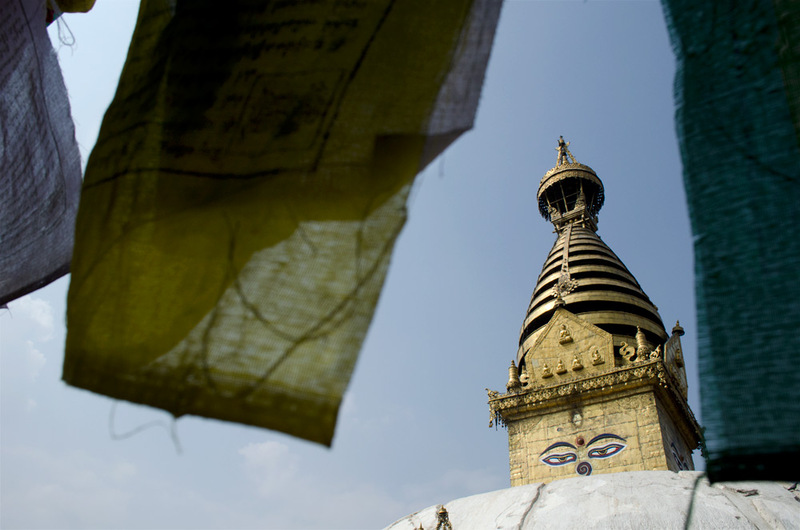 Though I have visited some of Kathmandu’s most famous landmarks, there is still so much left to see. Tomorrow I will begin my three day trek which will take me to Chispani, Nagarkot and Sankhu. Shorty after finishing the trek I will head to Chitwan National Park to enjoy a Jungle Safari on Elephant back and explore the village of Sauhara. 3. Food. I was really looking forward to trying the food here in Nepal and so far I have not been disappointed. 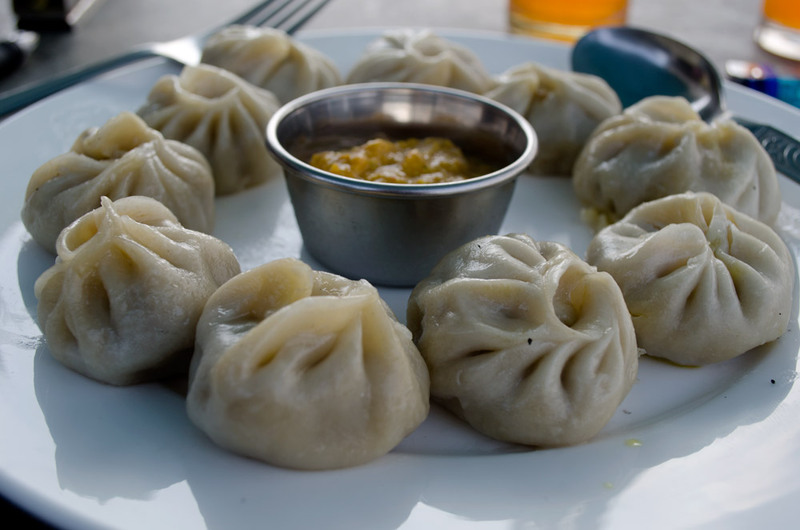 First was a plate of momos; Nepal’s answer to fast food, so I am told. The momo parcel is made from what tasted like a thick ravioli with a curried chicken (or veg) centre and served with a spicy sauce. 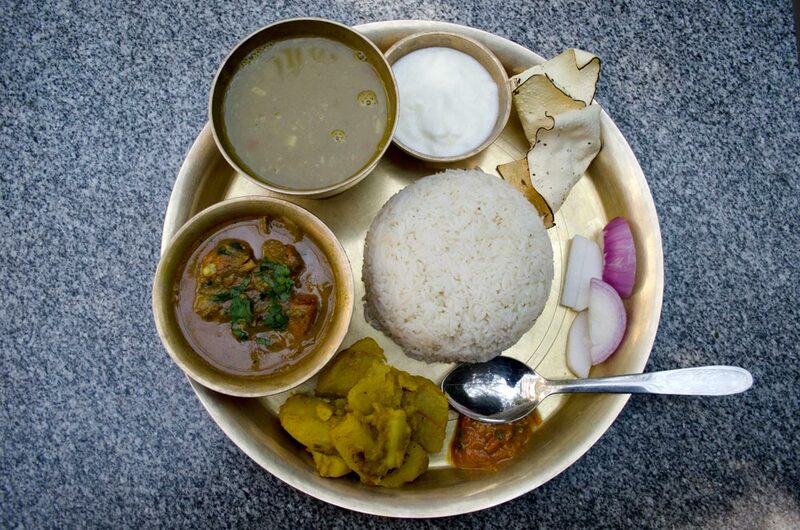 My second taste of Nepali cuisine was a sort of platter with chicken curry, steamed rice, pickled veg, soup, salad and yogurt, which came on one huge plate for a jaw-droppingly cheap $4. If we can all touch wood simultaneously, the food has not yet had any undesired affects and my loperamide still lies hidden in the depths of my first aid kit. On Monday evening I will have the opportunity to join a local family in their home for a Nepali feast, something I am eagerly awaiting. 4. Rickshaws. …And the traffic. To describe the traffic in Kathmandu as chaotic would be an understatement. It seems motorcycle is the chosen form of transportation here, I assume this is because they can weave in and out of the traffic in narrow streets with much more ease than any other vehicle. Then there are the Rickshaws and their drivers. Despite their bulkier, less nimble size they too attempt to weave in and out of traffic causing near collisions every few hundred feet. Every near miss or accidental obstruction of the vehicle behind is met by a piercingly loud ‘BEEEEP!’ which every vehicle around replicates one after the other creating a symphony of honking horns. 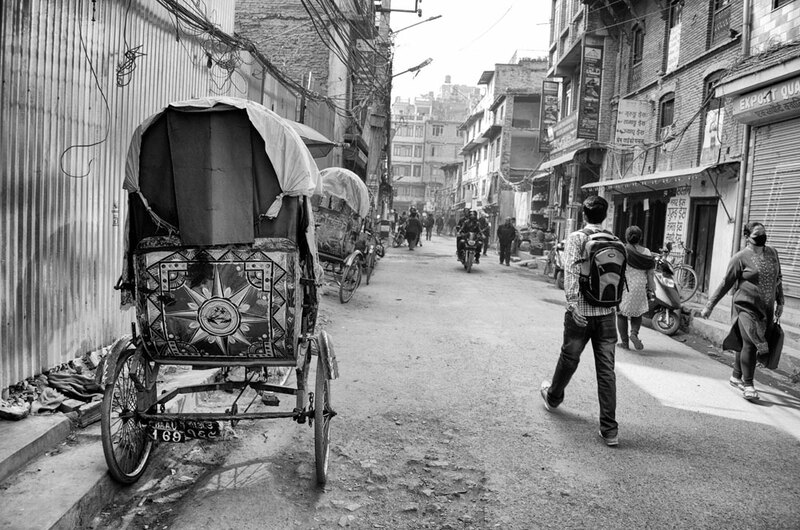 On Wednesday I was coaxed into my first Rickshaw ride through the streets of Thamel to the nearby Bagmati River. You could describe my driver as… young at heart and the short journey was fairly relaxing. My second experience was much more white-knuckle, my driver both young at heart and young. 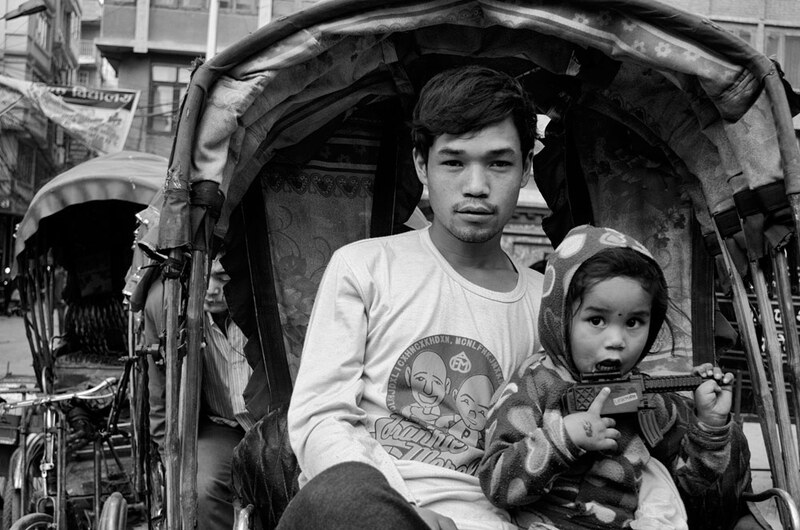 He sped through the crowds at what I thought was an astonishing speed for a Rickshaw and left me staring at the right side wheel, wondering what my injury may have been if that taxi had been a millimetre closer. 5. The People. Many people commented on the warm hospitality of the Nepalese before I arrived, stating that they are the friendliest people in the world. After only a few days here in Kathmandu I believe this statement to be absolutely true. On my first day wondering the streets every nervous smile I threw in someone’s direction was met with a ‘Namaste!’ or a ‘Welcome to Nepal!’. Whenever I stopped to stare blankly at my map of the city people quickly offered help and pointed me in the right direction. It was only close to the more tourist orientated areas that the idea of ‘I help you, you help me’ came into play and I ended up spending 350 rupees on a box of powdered milk for a young man who insisted he did not want money for showing me the way, only milk for his little sister. I am a sucker for a sob story and although $3 is hardly breaking the bank I promised myself I would be firmer in refusing payment for 30 seconds of directions next time, especially as after a few hundred yards his directions held no correlation to the road I was on! So there’s a breakdown of my first few days in Nepal. From here on in, there will be more specific blogs about the trip and my experiences. As always, please feel free to comment with any constructive criticisms, advice or pointers and keep checking back for more posts. A great introduction to Nepal, Nia! The momos looks just as delicious as the Chinese dumplings I have been living on for 6 months 🙂 Can’t wait to read more.